It mainly seems to affect people as they get older but it can also affect younger people. It most commonly affects the knee and hip joint but it can affect other joints in the body. Western Medical Treatment usually involves anti-inflammatory medications, physical therapy, exercise or stretching and rest. Studies have shown that Acupuncture can help reduce the swelling and inflammation around the joint and reduce pain. Another problem with trials is the difficulty of comparing acupuncture to Sham Acupuncture. In 2004 the University of Maryland (ref 2) devised a means of creating a sham acupuncture treatment which did not involve piercing the skin. This meant that the patient could not tell if they were receiving acupuncture or Sham Acupuncture. The trial followed 570 participants with Osteoarthritis of the knee who were divided into three groups. One group received acupuncture, another received education about arthritis and the third received sham acupuncture where a needle was attached to a plaster but the skin was not pierced. Overall, patients receiving true acupuncture reported a 40% improvement in both pain and function from their baseline score. “At the end of the 26 weeks, patients receiving traditional Chinese acupuncture had more improvement in both pain relief and function when compared to the sham acupuncture and the education groups” says Dr Berman. 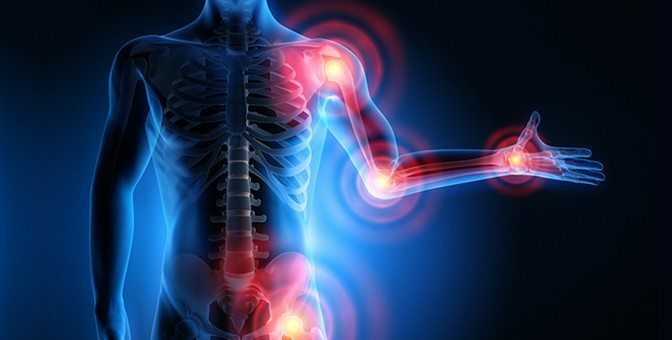 A trained acupuncturist will look at more than just the pain, by undertaking a detailed case history, the acupuncturist is trying to establish how long the patient has the pain, what channels are affected, and if there is an underlying imbalance or pattern in the body which is causing the problem. For example a typical pattern as the body ages in Chinese medicine is known as kidney deficiency and is characterized by lower back pain, knee pain, insomnia, frequent urination. However this is only one of several patterns that can be indicated with osteoarthritis. Over the series of treatments the acupuncturist will try and correct the underlying pattern as well as reduce pain and inflammation and may use acupuncture points locally or distal points that have a specific effect on the pattern or channel indicated. As long term pain of has a debilitating effect on the patient the acupuncturist will often look for signs of emotional strain and provide support for this throughout the treatment. As the symptoms improve the patient is in a better position to take control of their own recovery. Research is now proving that this ancient Chinese form of medicine has something worthwhile to offer in the West and can provide a powerful therapy that complement Western Medicine.